On Friday 11 March at 2:46pm local time, a 9.0 magnitude earthquake struck off the northeast coast of Japan, immediately followed by 6.8 and 7.3 magnitude2 aftershocks. 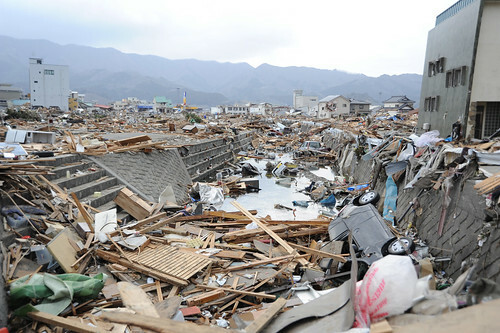 This is the fourth largest earthquake in the world since recordings began in 19002. The quake triggered a 23 feet high (7 meters) tsunami across a 1,300 mile coastline, taking with it buildings, trees, cars, boats, ships and trains several miles inland. The disaster has left over 590,000 people homeless and living in temporary shelters. An estimated 4.4 million more are without electricity and another million homes without water. The death toll is being estimated as reaching more than 10,000. To make matters worse, tens of thousands of people have been evacuated from a 30 mile radius area of a nuclear power plant that was damaged by the earthquake, threatening a radiation leak. 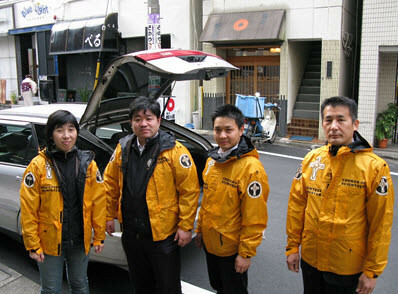 The Volunteer Ministers of the Church of Scientology in Japan instantly responded to the disaster and an international call for help has been issued to all VMs with experience in disaster response to come to Japan, as hundreds of VMs will be needed to assist the people of Japan. 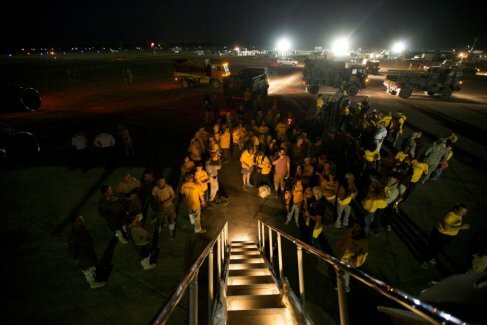 Volunteer Minister units in Japan, Australia and New Zealand have been activated and are in the process of setting up disaster response logistics. The International Association of Scientologists (IAS) immediately granted funds for VM disaster relief efforts. The grant will cover all costs necessary to not only transport VMs into the disaster zones, but also to transport other disaster response specialists from other parts of the world. The grant also covers the costs of emergency equipment, medical supplies, food, tents, sleeping bags, communication devices and all other support for the VMs in the disaster area. Last night a group of the Church of Scientology parishioners in Pasadena, CA gathered to hear about the work of our Volunteer Ministers now in Haiti. The International Association of Scientologists (IAS) is funding this relief effort. Volunteer Ministers are working alongside medical teams under grueling conditions, organizing delivery of food and water to the refugee camps and in some cases doing the jobs no one else wants to do – like cleaning toilets. Folllow Ellen’s Twitter feed for updates on their activities and an inside look at what it’s like to be a volunteer in a disaster area. They need more volunteers because ther are not enough people to care for everybody there. We hope our Fundraiser wil make it possible for a few more to go and help. 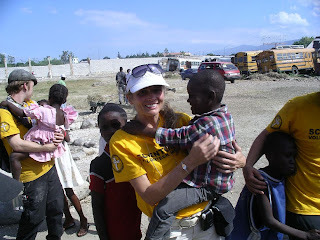 Our group in Pasdena totally supports our VMs in Haiti and we donated $4000 to the relief efforts last night.